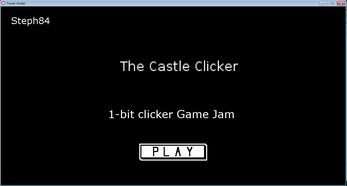 I've made this for the 1-Bit Clicker Jam. It's clearly not finished yet. But I can't do more right now because of my personal life. So I just upload it before I run out of time. I'll continue developing on it later. Download it. Unzip it. Run the love file. Play it. Enjoy it.